Around 1900 more formal musical influences from Europe pushed into Jazz from the environment in New Orleans, 'the city of music', which boasted three Grand Opera companies and two Symphony Orchestras, one of which was a Creole Orchestra. and modern musical instruments, typically from demobilisation of the military bands. The classically trained Creoles were taught all about Johannes Sebastian Bach (1685-1750) and what he got up to and, for sure, Bach understood the old insights from 'Harmonies of the World' which Johannes Kepler (1571-1630) uncovered in 1619. 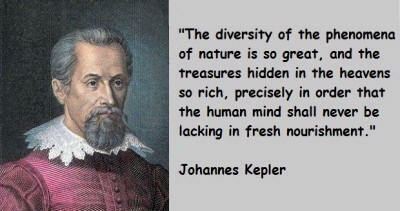 Kepler was a musician who followed Plato's philosophies and the 'innate emotions of the mind', rather than the thinking of Aristotle and his 'omnipotent sense perceptions'. For Kepler reality was unavailable to those who used only their senses and music resided deep in the emotional mind. This often placed music in conflict with rational common sense; it was not to be logically analysed but had to be 'felt' as 'patterns' and understood as an art; an expression of human creative skill and imagination. As if to confirm Kepler's teachings from the 17th century, way back Pythagoras had identified an 'error' in the mathematics of the harmonic series; the Pythagorean Comma made music incomprehensible to mathematicians. Nevertheless music was 'patterned' and proved to be a momentous triumph of the human imagination. What on earth was going on? In Bach's time the ornate counterpoint of dissonance & consonance associated with early written music moved, from what he disparagingly called 'finger music' to the more 'galant' music of the mind. Galant music stressed simplicity and immediacy of appeal; a reaction to the complexity of ornate Baroque. 'So long as the language of music has only melodious expressions, or only successive connection of musical tones, it is still to be called poor. By the adding of bass notes, by which its relation to the modes and the chords in them becomes rather less obscure, it gains not so much in richness as in precision. A melody accompanied in such a manner, even if not merely bass notes were struck, but, by means of middle parts, even the full chords, was still called by our forefathers, and with justice, homophony. Very different is the case when two melodies are so interwoven with each other that they, as it were, converse together, like two persons of the same rank and equally well informed. There the accompaniment was subordinate, and had only to serve the first or principal part. Here there is no such difference; and this kind of union of two melodies gives occasion to new combinations of tones and consequently to an increase of the store of musical expression. In proportion as more parts are added and interwoven with each other in the same free and independent manner, the store of musical expressions increases, and finally becomes inexhaustible when different time and the endless variety of rhythms are added. Harmony, therefore, is not to be considered as a mere accompaniment of a simple melody, but a real means of increasing the stock of the expressions of the art, or the riches of musical language. But to be this, it must consist not in mere accompaniment, but in the interweaving of several real melodies, each of which may be, and is, heard sometimes in the upper part, sometimes in the middle, and sometimes below'. 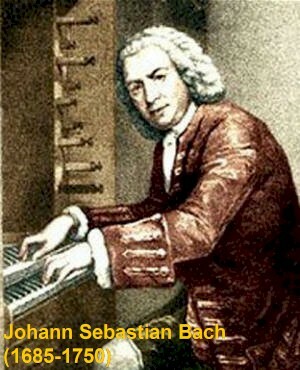 Bach's description was interpreted by the classical tradition through an endless variety of harmony, rhythms and melodic resolutions (or not). In contrast the jazz tradition took simplified harmonic structures of bass lines and superimposed complex improvised rhythmic lines which, when juxtaposed, produced the phenomena of 'swing'. It was 'swing' which seemed to distinguish jazz from classical music and it was swing which seemed to compel a physical response; dancing. Jazz bass lines 'walked' to the resolutions and with 'swing' the music 'motored' with a 'groove' and a 'lilt'. The physical responses of dance were often absent in the classical tradition, even foot stomping was unnecessary ... nevertheless, as Duke suggested, Bach could swing just like the rest of the cats! 'The future of American music lies in combining black folk music with the European tradition'. Roger Read pointed his students to Kepler and vibrating strings and to J S Bach's bass lines as a good way of understanding jazz. But above all students must listen & play ... Slim wanted me to share with him what was going on in my head so he could help create something special! J S Bach & Louis Armstrong were concerned with the same thing, the sounds in their heads, not the sounds of plucked strings. What both these guys heard in their heads were the challenging patterns of excitement & fear & resolution. Bach wrote the patterns down and recorded them in writing for others to reproduce and enjoy in the future, this was composition. Louis played his sounds there & then with his mate Joe Oliver who added his very own bits to a real time conversation. Of course these were not 'rules', they were simply what Bach often did to tease the imagination and sound good! Have a listen to Bach’s Passacaglia and Fugue in C Minor with Stephen Malinowski's visual accompaniment with colored bars displaying the variously different played lines. Most folk came to jazz first as excited listeners (& dancers!) and later a deeper understanding emerged after the architecture was explained by mentors like King Oliver or Roger 'Slim' Read. Slim knew his Bach and urged students to listen to those bass lines; Bach and Jazz came together in these wonderful visualisations of Johann Sebastian's Fugues. Eventually ears began to 'get it'; the bass lines of the Fugues (like the 15 note purple sequence herein) laid down a sound sequence, a foundation on which an intricate melodic, harmonic and rhythmic house was built. Jazz players were often helped by visualising the sound movements in various ways in the imagination as if keeping track of the moving architectural framework of the house. Here Stephen Malinowski did a fascinating job of visualisation and the Bach Fugue became immediately recognisable as astonishingly akin to the Dixieland Jazz band? Of course Bach himself was a champion improviser and it seemed he had come to Jazz long before Louis Armstrong ... although perhaps he was a little weak on dance rhythms! 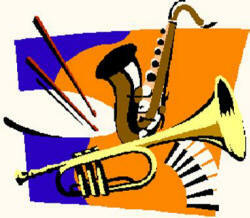 When playing the Blues or jazz trust your ear. If blue notes and chord sequences sound right they are right. BUT they sound right to most people because of ear training/familiarity. 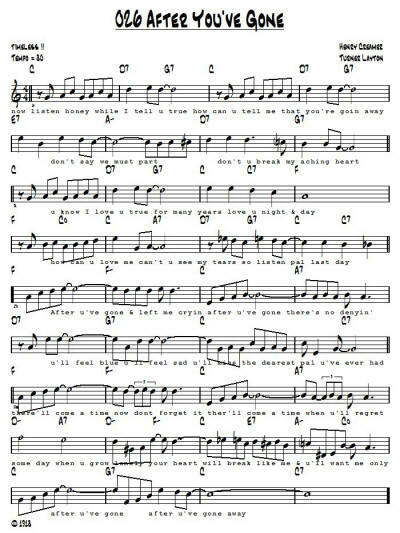 To 'western' musicians with ears ingrained in Bach and his tempered scale the creative expression in the folk Blues or jazz was so exciting & compelling that these two aural traditions/cultures were 'merged' into a formalised structure; the 'classic' 12 bar Blues (and endless variations). Learn the classic 12 bar Blues first ... then all the others 'go the same old way'. - sound movement away from the tonic to the subdominant and resolving back to the tonic from the dominant (perfect cadence) or from the subdominant (plagal cadence) - that's it! Check ... how a chord is functioning ... the function determines your scale choice for improvisation (or composition)! Functional Harmony is not 'better', but it is not arbitrary, it is simply a 'convention' which 'helps' folk to play together. (All other harmonies placed within a sequence delay/disguise the arrival at one of these sound cadences to add tension, excitement and relief ... and they do not 'function' to establish tonality nor propel the motion ... they work as decorative/passing chords). 'I've got the Blues', repeat it then a release - blue notes on the 3rd and 7th - rhythmic syncopation - 3 time against 4 time - first movement to the subdominant - dirt - irreverence. 'The brain has evolved by making sense of the world from the mass of data from eyes, ears, nose, tongues and touch. To survive we must understand our confusingly complex surroundings. We learn to recognise patterns of danger, patterns of food sources, patterns of behaviour … patterns which have meaning. The brain seeks to understand music by identifying some sort of pattern in an otherwise 'meaningless' succession of sounds. The drive to find order out of chaos is an ongoing and integral part of human cultural and intellectual effort. It is the motivating force behind creative art and scientific endeavour. We are distressed if we can’t discover an orderliness that we can understand. All music was about the euphoria of recognising a pattern in an otherwise chaotic environment. We could make sense of sounds. It was the imagination that was doing the work'! Joe Sixpack and his mates didn't usually play Bach, they messed with simple pentatonics and 3 chord tricks, on the stoop with a banjo or if you were rich on the parlour piano ... wherever ... they sounded great ... this was folk music ... of course it was folk music, Louis Armstrong had never heard a horse sing! There were plantation songs and church songs but the first secular folk songs in America were usually borrowed from the Brits together ther associated reels & jigs. Then came the revolutionary & patriotic songs ... and, of course, there was more sophisticated stuff which the Creoles played from the operas. 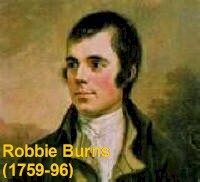 The English, Scottish and Irish songs were typical of folk songs from all over the world and used the pentatonic scale and the drone. Pentatonic scales were also sometimes known as 'gapped scales', they were found in many many kinds of traditional music everywhere. 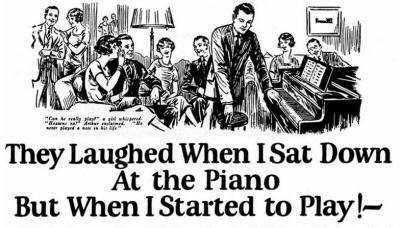 The easiest way to hear the pentatonic scale was to play the black notes on a piano. In C the notes F and B of the major scale were omitted - do re me so la. The F and B notes sometimes created tensions, the unsettling 'tritone', some called them 'avoid notes'. The major pentatonic kept things simple, it didn't use these avoid notes! Simple and effective music with call & response participation. Often a leader 'put out the line', a whole gathering responded and sang an ornamented line. Almost instinctive on the black notes of the piano ... try it. Importantly these pentatonic scales were used in folk music as a basis for improvisation. And in the Blues the Negroes used the minor pentatonic with the root, minor 3rd, 4th, 5th, and flat 7th which produced a typical bluesy effect. Later the use of the minor pentatonic in rock music was ubiquitous. Listen to any classic rock and you'll find the scale was used for the riff and solos and often the melody itself. This was probably a fine description of how the creative process worked out with the old Bluesmen who were cogitating with their fancies and writing with their fingers on guitar strings ... they too stumbled across pentatonic scales that sounded good and 'fitted' with lots of different harmonies ... ? 'The Skye Boat Song', 'Auld Lang Syne' and 'Amazing Grace' were typical pentatonic songs as were 'Oh Suzanna' and 'Camptown Races' ... compare them to 'Away in a manger' which included the the 4th and 7th. 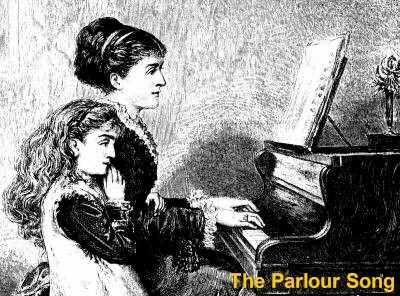 Some publishers of church music started to produce sheet music for pianos in the parlour, folk wanted to play the songs they heard; Oliver Ditson in Boston and Atwill's Music Saloon in New York were precursors of Tin Pan Alley publishers who emerged at the end of the 19th century. The 1865 emancipation unleashed the initial black innovations. But it was the Jim Crow laws of 1877 which led to the downgraded status of the Creoles. Significantly this forced the Creoles with their musical accomplishments into black music. Specifically into the dance hall dives and parade band music of the hot outdoor gatherings. The blend of black dirty Blues and Creole limpid virtuosity, thrown together not from choice but glued together by a common desire to play ... a cooperative endeavour which resulted in the first Jazz bands. In the city everyone was living in close proximity to people who were not chosen and probably not liked but the reality was co-operate or die. There was respect for musicians and good jobs to be had. The forced co-operation of blacks and Creoles with different accomplishments and cultures in the functional music of the city was a significant factor in the emergence of jazz ... and the merging of African Rhythm and European Harmony. 1. All songs finish on the tonic. Many songs also start on the tonic. 2. All songs move to the Dominant 7th – but you must feel when? 3. Most songs also move to the Sub-Dominant. Hymns and Blues go the Sub-Dominant first – but you must feel when? 4. Most Dominant 7ths move down the page, the circle of 5ths - except in the Blues. That is ‘chord sounds’ tend to rise a 4th (or fall a 5th). Especially 7th chords. 5. Most songs contain multiple 4 & 8 bar sections, most repeat sections, which tend to be ‘introduced’ by the Dominant 7ths. 7. Most songs finish with a circle of 5ths ‘run in’ on the tonic scale - Am7 to Dm7 to G7 to C.
8. Many songs use related minor chords with the same sound - E7 to Am. 9. Many songs change key especially in the middle 8. Sooooo … expect & learn a family of chords for each key and learn the exceptions ... learn the rules then forget about them! !